Are you up for a fun challenge? CAS-ual Fridays has a GREAT one today! "Whats Black & White and Read All Over?" In honor of International Literacy Day, create a CAS design based on a book and use the colors Black, White and Red. *You can use a children's book, fiction, non-fiction-whatever your pleasure! You can see here I Glossy Accented the bowl! Then I hand cut that insanely tiny heart and added it in while the GA was still wet! This adorable mixer and sentiment are from Taylored Expression. Here is this weeks CAS-ual sponsor. Click HERE to see what the prize is! 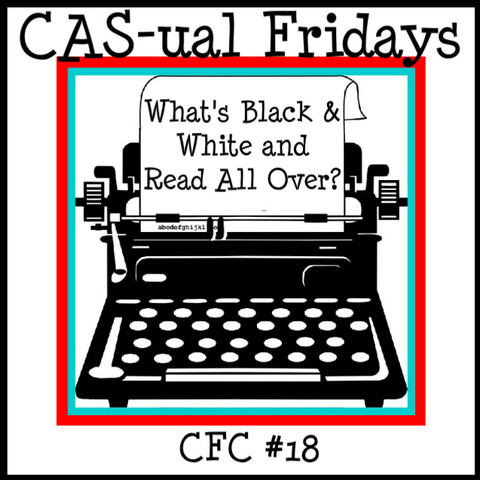 Can't wait to see what you cook up for this challenge...sorry I couldn't help myself there...so stop over to the CAS-ual Fridays blog and link up your creation! The other DT girls have some seriously cute cards! Stop in and check them out! Thanks for coming by today! Mmmmmmm yum, I did a cookbook too! Great minds think alike, I love your card! Ooh, I love this! Black, white, and red are so YOU! 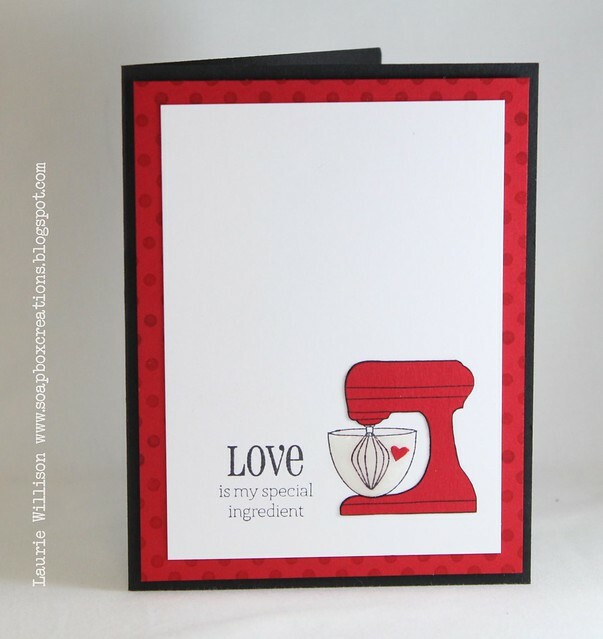 That's one cute mixer and sentiment--I'll have to check them out. Awesome CAS card Laurie! I LOVE that mixer! so fun, love Pioneer Woman, too! love the mixer! Such a perfect CAS card for your book selection!!! LOVE the mixer image---SOOOO CUTE----and the glossy accented bowl!!! Just too cute! I LOVE the sentiment. Perfect!! I love the color combination- one of my favorites! I always love the way you use white space. Adorable! Wow, that bowl is amazing...and your cutting skills on that heart-WOW! This is so fun! Love your card! super card! I'm with ya on the Pioneer Woman - Ree is amazing as are her recipes! 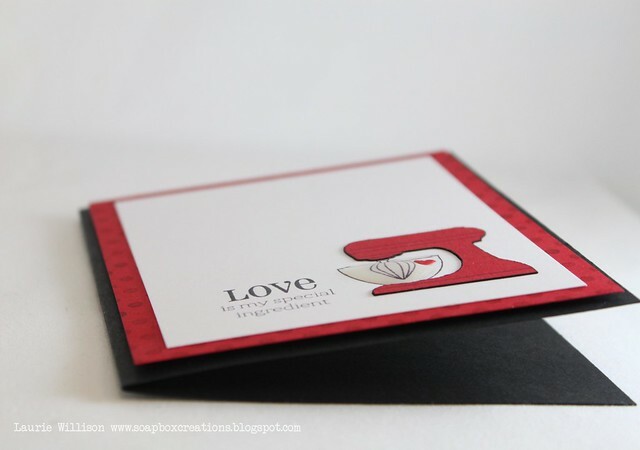 Fabulous card and take on the challenge! Love the glossy accent idea for the bowl! This is Ah-MAZING!! I adore the Pioneer Woman and love that you were inspired by her book. Have you seen her new show on the Food Network yet? I've been taping it, but haven't watched it yet. I love her cookbook.